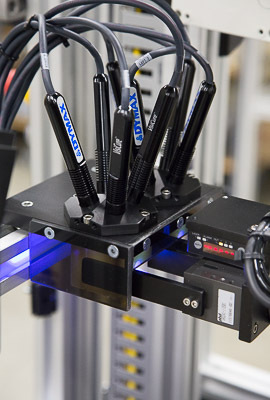 Assembly & Automation Technology works with leading fluid handling companies to create Fluid Dispensing Systems for adhesives, seals, lubricants, coating, insulation and a variety of other fluids. 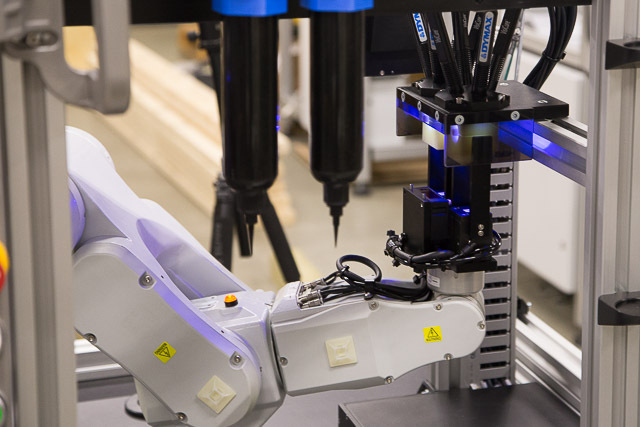 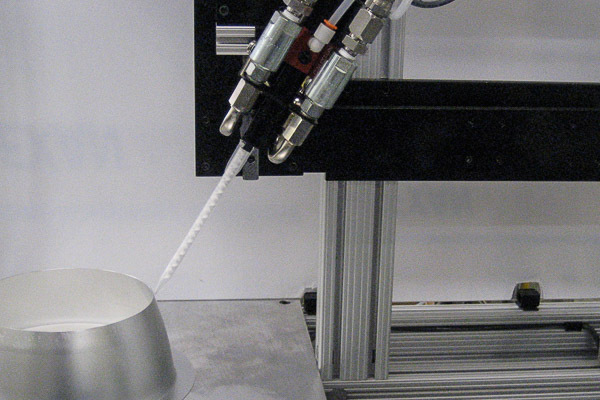 Part and dispenser manipulation by rotary, XY, SCARA and 6-Axis robots. 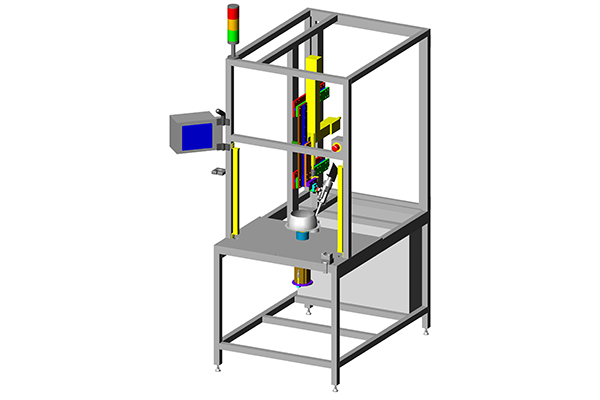 Fluid Dispensing Systems can be pre-programed for multiple part styles and sizes with a panel view to adjust adhesive dispensing position, pattern and volume. 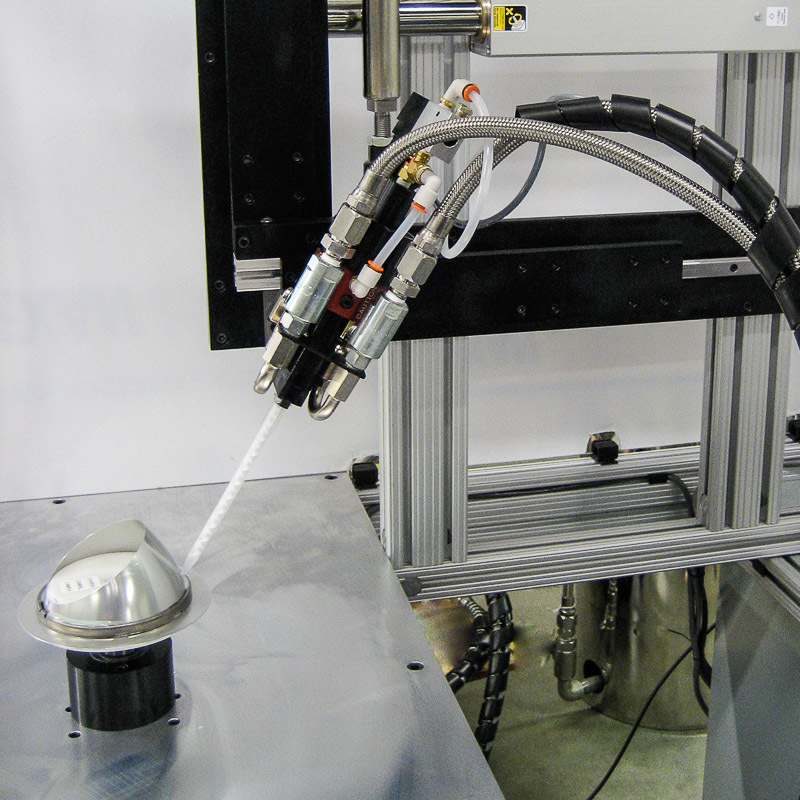 Custom Liquid Adhesive Dispensing System to automatically dispense liquid adhesive to a part. 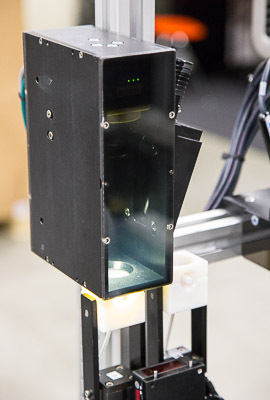 This machine contains a bar-code reader to read the customer's inventory labels and automatically change the pattern and adjust adhesive volume.